As a friendly reminder, Creations Galore will be closed on Thursday, December 31 and Friday, January 1 to ring in the new year with family. 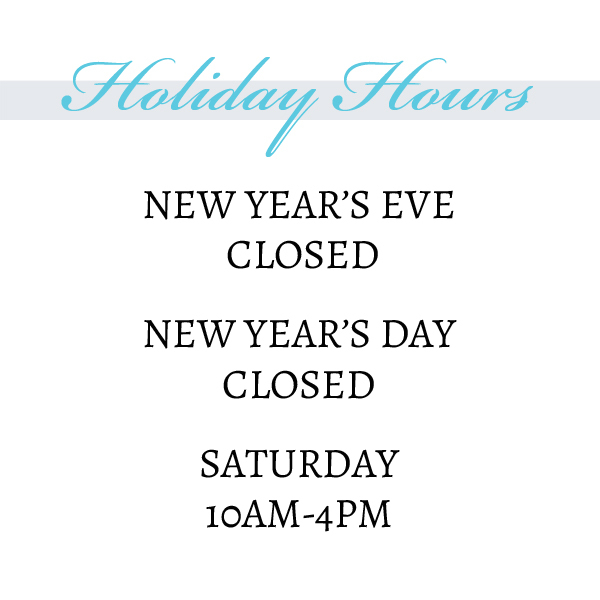 We are sorry for any inconvenience and will reopen at 10:00 AM on Saturday, January 2. Have a happy and safe holiday, friends.